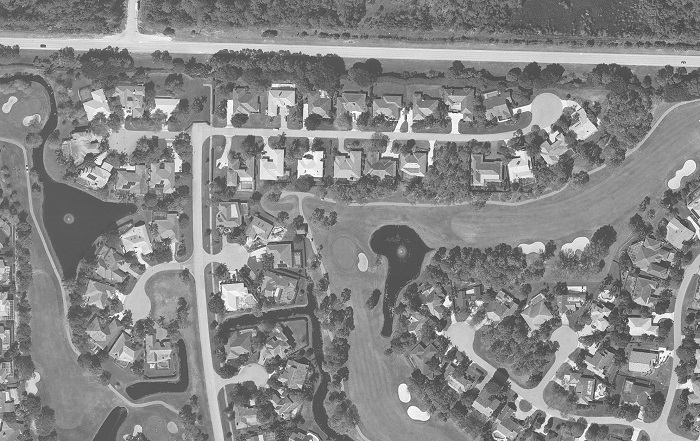 PGA National Coventry and Medalist | JTR Inc.
Jonathan T. Ricketts, Inc. was contracted by Northern Palm Beach County Improvement District to analyze two existing roadway drainage systems within PGA National and to propose drainage improvements to increase drainage performance of the roadways and adjacent areas. Jonathan T. Ricketts, Inc. researched plans to identify portions of the drainage system which needed maintenance or needed additional capacity. Existing underground utilities were located and construction plans prepared to restore the swales and provide improvements to the drainage system. This work required coordination between Northern Palm Beach County Improvement District, Seacoast Utility Authority, various PGA National homeowner associations, AT&T, and Comcast Cable. Keys to Success: Onsite presence allowed for minor field adjustments to accommodate onsite conditions differing from the utility companies’ asbuilts. Close coordination with the utility companies allowed for timely decisions to be made allowing the contractor to work uninterrupted and minimizing impacts to the residents.